There are many cities in the world, but not every one can be explored from a boat. Gothenburg is among the cities that offer their visitors the opportunity to enjoy a trip by boat for sightseeing on water instead of on land. This can be very relaxing and also provides a chance to discover the details of the cityscape that have not been seen from the shore. Perhaps the most popular boat trip in Gothenburg is taking the Paddan. The Paddan is a sightseeing boat passing a total of twenty bridges in the Gothenburg duct system and also goes out a little round the harbour. The tour starts in the centre of Kungsportsplatsen. Even if you don’t have much interest in plants and flowers, a couple of hours in the botanical garden can be a pleasant experience. This is a beautiful environment to relax in, away from the hectic central Gothenburg, by walking around or just sitting down on a bench among all the greenery. There are around 16,000 different plant species, and in addition to plants and flowers you will also find beautiful streams and waterfalls. After strolling around this relaxing green environment, you can get a bite to eat and enjoy an ice cream or a coffee in the botanical garden’s restaurant. 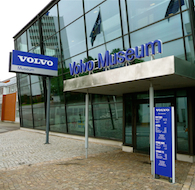 The Volvo Museum is located on Hisingen in Gothenburg and it shows a piece of Swedish history. Visitors follow the entire development of Volvo in chronological order from the first meeting before the Volvo was founded to today’s high-tech cars and trucks. There is a large collection of vehicles and innovations that Volvo has developed and produced over the years. Whether you are interested in cars or not, there is much to learn at the Volvo Museum and both adults and children can grasp and appreciate what is on display there. Pick-n-Paint in Gothenburg offers its visitors the opportunity to paint pottery that then is glazed and fired. Regardless of age, this can be a fun activity that allows creativity to flow and also provides a memory to take home from the stay in Gothenburg. All the conditions and tools needed to create its own ceramic artwork is on place at the Pick-n-Paint, and there is staff on hand to help throughout the process. Pick-n-Paint has drop-in during its opening hours and it is almost always free spots. In the school holidays and at weekends you may need to book in advance, but all other days, you can usually come quite spontaneously. Important to know is that it takes 5-10 days for the thing you painted to be fully completed and if you’re in Gothenburg temporarily you can therefore get the ceramics sent to you by post. World Culture Museum is an interesting museum that continually addresses current social issues affecting the world. Through the years the museum has held exhibitions that touched including trafficking, HIV/AIDS, fair trade, and LGBTQ issues. In 2009 Museum of World Culture received the award "This years museum", which is the Swedish museum industry’s highest distinction. The exhibitions are constantly shifting and if you want to know what that is shown during its Gothenburg Visitors you can visit the museum’s website for more information. A Gothenburg attraction that can be pleasant to visit as well for the newly in love couple and the big family with children is Universeum. 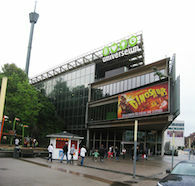 Universeum is a major science center founded by the Göteborg Region Association of Local Authorities, Chalmers University, Gothenburg University and the West Swedish Chamber of Commerce. As visitors, there is much to learn and enjoy. Here you can stroll around in the rain forest environment, look at great and exotic marine life in giant aquariums, performing various experiments, learn more about the Swedish wilderness, and much more. It usually also holds exhibits that showcase interesting science from several areas. In total there are seven floors that can entertain visitors for several hours. 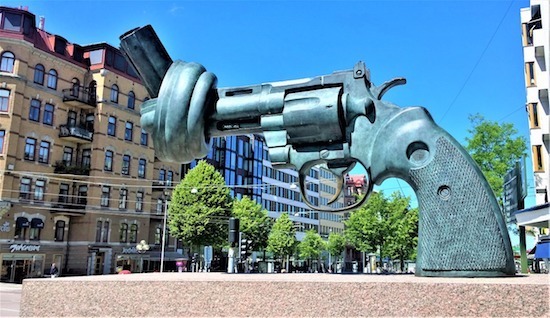 The Center is located in central Gothenburg and it is easy to get here by bus or tram. Gothenburg is one of Sweden’s most beautiful coastal cities, and when visiting the city, do not miss the opportunity to breathe in some fresh sea air and explore the beautiful coastal environment. If you are temporarily visiting the city without access to a private boat, but want to get out to one of the islands of the archipelago, it is a good idea to choose Vrångön. Daily boats depart to Vrångön and there are several activities to occupy themselves when out on the island. Among other things, you will find walking paths Southern walk the loop and Northern walk the trails. Southern walk the loop is about 3km long and runs through the southern part of Vrångös undeveloped nature reserve. North Walk loops running along the northern part of the island and the longest is total 5km long. One of the northern areas is disable-friendly, which means that you can go there in a wheelchair. On Vrångön you’ll also find beautiful bathing environments, a football field, a tennis court and Vrångö house where various activities is arranged. For the people of Gothenburg tramways have been a natural transportation since the late 1800s and the tram has over the years become one of the main symbols. For those who want to learn more about the Gothenburg symbol then an hour or two at the Gothenburg Tramway Museum could be very interesting. Tracing the entire tramway history, from the carriages pulled by horses at the end of the 1800s to today’s high-tech systems. The museum is divided in two parts, a part with exhibitions of various kinds, and a guided tour of the station garage. Slottsskogen is a large park located in the southwest of Gothenburg. In total the whole area is 137 hectares and offers, besides several walking paths, a variety of activities. Inside the Slottsskogen, there is a zoo that has a large herd of various Nordic animals. Elk, fallow deer, red deer, goats and Gotland russ are just a few examples of animals that can be found in the zoo. For children there is also a "Children’s Zoo", which is open during the warmer months. In the northeastern part of Slottskogen, you’ll find the playground Plikta which is an excellent place to visit for families with children. There are also several sporting activities in the park such as miniature golf, frisbee-golf and beach volleyball. Slottsskogen’s highest point is Stora utsikten where the old water tower from 1899 is located. On the Stigbergsåsen in the north, you’ll find the only people observatory in Sweden. A ski slope, along with Brage hill which is an old diving tower from 1902, is in the southern part of the Slottsskogen.There is also an observation tower that gives a fantastic view over Gothenburg. The Medical History Museum in Gothenburg is part of the Sahlgrenska University Hospital, and lets visitors experience how the perception of health and illness has changed throughout history. The museum’s exhibits tell how various discoveries have led to both progress and setbacks, how science has been resisting culture and tradition and the ideas and ideals have led medical progress, but also in many cases prevented it. In addition to all the interesting information about medical history, there is also a large collection of instruments, equipment, furniture, textiles and much more from the 1700s until today. Aeuroseum tells the story of the Swedish History of Flight. The museum is located in a large rock shelter of over 20,000 square metres that was built during the Cold War and was previously used as airplane hangars for the canal’s Air Command (F9). Today, the airplane hangar is not used by the Armed Forces and instead the caverns have been opened up to the public. Here, one can get to see everything from airplanes to helicopters. Both older and more modern aircraft are on display. Visitors are also able to experience the environment and the feeling of being around air craft through various activities, experiments and various objects. After a visit to Auerseum you’ll be guaranteed to have a greater knowledge of how Swedish aviation, both military and civilian, has evolved through the years. Another outdoor activity that’s one of Gothenburg’s most popular is the seal safaris which run regularly at Hönö. As a participant on a seal safari, you’ll go around Hönö by boat and visit the different places where the seals are usually resting and sunbathing. Piggybacking start by keeping their distance and then get as close as 10 metres from the seals. The seal safari is a really enjoyable activity that suits both young and old. The trip usually takes about two hours and besides seeing seals you’ll get a little seightseeing around the cays.